Beta-alanine is one of the best supplements available to strength athletes, but it’s not as popular as creatine. This is because after taking an effective dose users feel as though their head is being bombarded by hundreds of small needles. Researchers at Nestle claim that slow-release preparations don’t have this side effect – and that they may work better too. The medical name of the side effect we’re talking about is paresthesia. Sports scientists at University College Chichester in England once described the phenomenon as “symptoms of flushing (described variously as an irritation of the skin and prickly sensation) which began within 20 min and lasted up to one hour. This first affected the ears, forehead and scalp, followed by the upper trunk including the arms and the back of the hands, and finally the base of the spine and buttocks.” [Amino Acids. 2006 May; 30(3): 279-89.] Some beta-alanine users even experience pain. The researchers wanted to know whether slow-release beta-alanine was also associated with paresthesia. We consume about 0.8 g beta-alanine daily via fish and meat – and generally speaking don’t experience paresthesia. Beta-alanine users who take several smaller doses of 0.8 g or less each day don’t have problems either. So, the researchers reasoned, a slow-release supplement might not have side effects either. They gave 1.6 g beta-alanine to 11 subjects who had not eaten. On one occasion the subjects took regular beta-alanine [REF]; on another occasion they took beta-alanine in a slow-release supplement [TAB]; and on yet another occasion they took a placebo [PLAC]. The total amount of beta-alanine that made it to the bloodstream [AUC] was the same for both the regular beta-alanine and the slow-release type, but as you might expect, after taking the slow-release formula there was no peak. 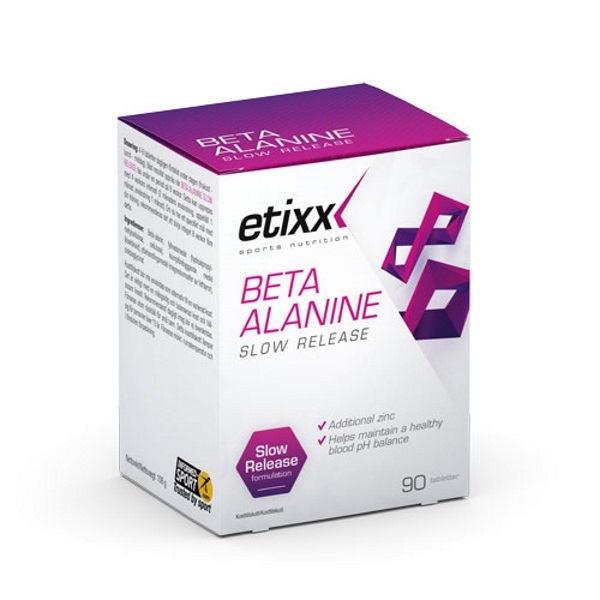 The subjects reported the same amount of side effects after taking the slow-release beta-alanine as after taking the placebo. The figure above shows the amount of beta-alanine found in the urine 0-2 hours and 2-6 hours after intake. As you can see, after taking regular beta-alanine the body eliminates more amino acids than after taking the slow-release variety. This suggests that the body is more economical with slow-release beta-alanine. Source: Amino Acids. 2012 Jul;43(1):67-76.